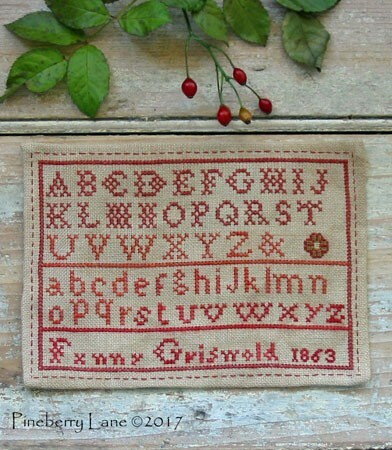 Miss Fanny Griswold stitched her small sampler using 3 shades of red. Two are of cotton and the third, used to stitch her name, date, and part of the lower case alphabet, is silk. The only deviation from red is the little flower motif, which incorporates pleasing hazelnut tones. 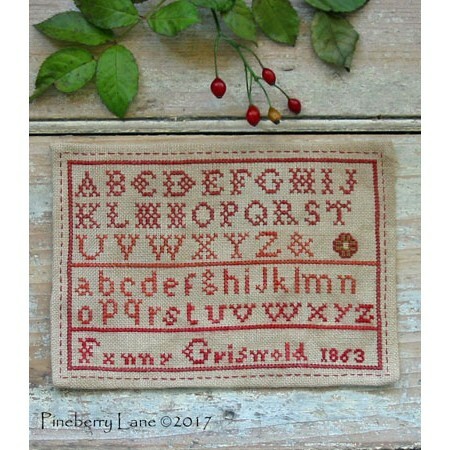 The reproduction is a bit smaller than Fanny's original and includes the letters and stitches that have been lost over the years. Worked on 36 count Lakeside Linen’s Vintage Sand Dune using threads from DMC, Gloriana, and Victorian Motto Sampler Shoppe. 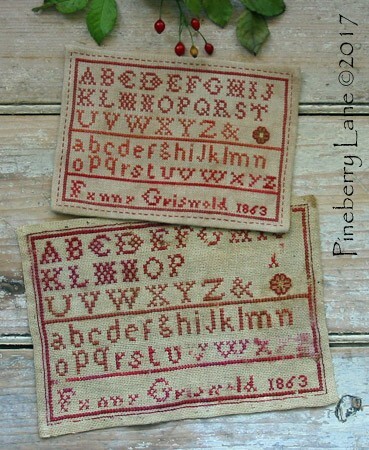 All stitches are cross stitch. Pattern includes color photo, professional cross stitch chart with floss colors, DMC conversions, and instructions for aging and hemming your work.